The Woljeongsa Temple is a traditional 7th-century Buddhist complex in the midst of forests near Mount Odaesan. It has many activities, including tours of the ecclesiastical building and treks through the woodland. Learn about Buddhist customs in South Korea with an ascent to this exceptional temple. Walk through the colorful tunnel of lanterns to reach the temple. Enter through a gate and behold the vivid mosaic of the portal’s ceiling, with its intricate layers. Explore the complex and gaze up at the tall ceremonial Woljeongsa Octagonal Nine-Story Stone Pagoda, which is believed to have been built in the 10th century. It is 50 feet (15 meters) tall and has a stone worshipper at its base and wind chimes hanging from each level. The pagoda sculpture stands in front of the principal worship hall, which has a turquoise-and-red façade and a traditional sloping roof. Venture inside the main hall and admire the large golden Buddha. Stay overnight at the temple as part of an arranged program. Live as the monks do and select from activities, which may include a tea ceremony with one of the monks, yoga, watching a Buddhist service and listening to the ceremonial bell-ringing. Sleep in the clean and spacious rooms, which are heated. Enjoy vegetarian meals from the local mountain produce. Embark on a hike with your family through the mountainous forest. Cross over the bridge that is adorned with stone statues of zodiac creatures. Walk along the Fir Tree Path, which may be lit by lanterns at night. Learn about the history and culture of the temple from an English-speaking guide. The temple was constructed in A.D. 643 by the Silla monk Jajang, who played a major role in the development of Buddhism. The Woljeongsa Temple is in the southwestern part of Odaesan National Park in the Gangwon province of northeastern South Korea. Ride a bus northeast for about 30 minutes from Jinbu-myeon in Pyeongchang-gun to get here. Explore nearby parks, such as the Sambong Recreation Forest and the Daegwallyeong Recreation Forest. 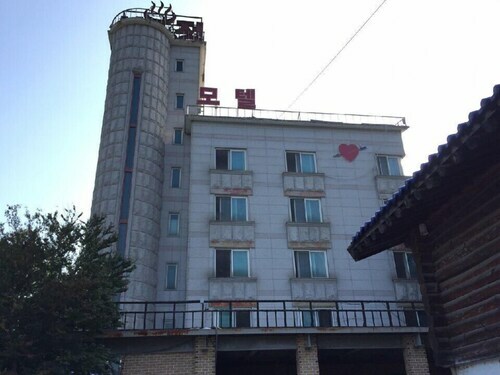 Situated in Pyeongchang, this hotel is 0.1 mi (0.1 km) from Odaesan National Park and within 9 mi (15 km) of Alpensia Ski Resort and Yongpyong Ski Resort. Daegwallyeong Donkey Ranch Don Quixote and Daegwallyeong Skyranch are also within 9 mi (15 km). 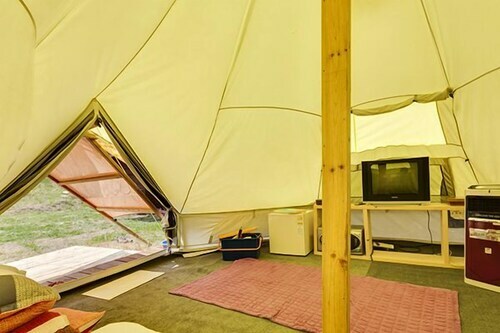 Situated in Pyeongchang, this pension is 1.3 mi (2 km) from Odaesan National Park and within 12 miles (20 km) of Yongpyong Ski Resort and Alpensia Ski Resort. Korea Botanic Garden and Woljeongsa Fir Forest are also within 12 miles (20 km). 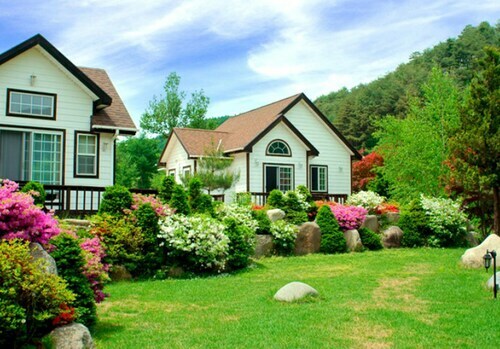 Situated in Pyeongchang, this pension is 13.2 mi (21.2 km) from Woljeongsa Fir Forest. Situated in Pyeongchang, this golf hotel is 2.5 mi (4.1 km) from Odaesan National Park and within 6 miles (10 km) of Daegwallyeong Skyranch and Daegwallyeong Samyang Ranch. Woljeongsa Fir Forest is 9.5 mi (15.3 km) away. 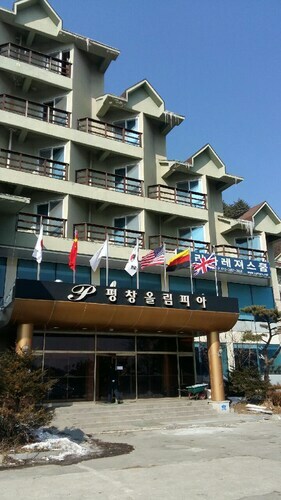 Situated in Pyeongchang, this hotel is 3.6 mi (5.9 km) from Odaesan National Park and 6.5 mi (10.5 km) from Woljeongsa Fir Forest. Daegwallyeong Skyranch and Daegwallyeong Samyang Ranch are also within 16 miles (25 km).